What's the price of the Lexmark X1100 printer? We only supply Lexmark X1100 printer cartridges and consumables rather than than printer itself. We would advise you to contact Lexmark to get the retail price of the printer. The green top that clicks the cartridge into place has broken on my X1100. Where can I get a replacement? Unfortunately, this isn't something that we supply. Please contact HP directly to source the replacement cartridge holder for your Lexmark X1100 printer. Do you want the very best deals on ink? For fantastic pricing, plus much more, buy all of your inks on Cartridge Save! We're are specialists in the supply of nothing but cheap Lexmark X1100 ink and in addition ensuring you will get our famous customer care. Searching all day to buy the cheapest ink cartridges is a great way to waste free time Now you can quit spending time thinking about who is advertising the top rates, all of the best offers can be found here. So save your money and spare time, place your order at Cartridge Save now. Have total peace of mind when you place an order with us thanks to our company's rock-solid money back policy. So if you encounter any complications using your cartridge inside 12 month after buying just send it back to get your full refund. There's more too, everything includes free next day delivery! It's rare to get excited about a printer, especially considering that many of them boast a similar look and range of features. Well, the Lexmark X1100 certainly stands out from the crowd in many ways, including design. But we're getting ahead of ourselves here. What follows is a brief review of the Lexmark X1100 and everything it has to offer, not just the sheer style which you too could inject into your home via the purchase of a Lexmark X1100. Yes, it cannot be denied, the Lexmark X1100 is a stunning item. Reinventing the wheel is often an unintentional thing; especially where printers are concerned as trying too hard to offer something a little different often has a detrimental effect. Well, the Lexmark X1100 is different, but in a very good way. This stunning piece of kit comes in a silver finish and offers unique, sharp lines and a sweeping top which is actually very impressive. 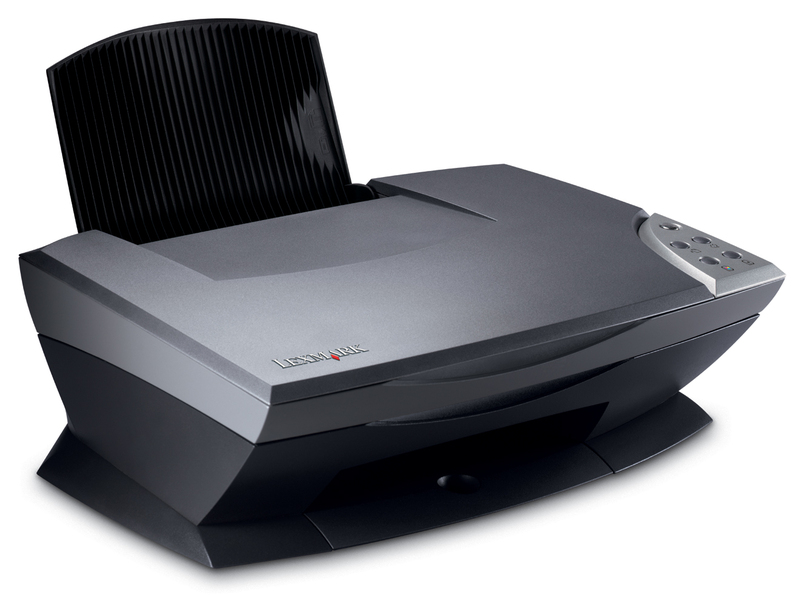 As with many Lexmark printers, the Lexmark X1100 is not quite up to speed with Photosmart models and the like, but it offers a great many perks none the less. The results created with the Lexmark X1100 were consistently stunning during our many tests and what's more, it is rather cheap to run. All in all, a very good machine if truth be told. It is important to remember that the Lexmark X1100 is not a budget model, but there is a very good reason for this price tag, and as a result there are hardly any limits to what the Lexmark X1100 can actually offer you and your family/household. As such, if a new printer is on your shopping list, this stunning piece of kit is certainly worthy of note.